SPACE Yoga Studio is your premier place to attain wellness in Brighton & Hove. 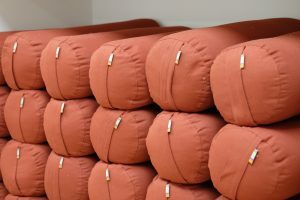 Recently opened in the heart of St. Augustine’s Centre, a stunning renovated church dedicated to wellbeing and the arts, the studio is a nurturing and sacred space where you can connect with yourself through the practice of yoga and meditation amongst like-minded people. 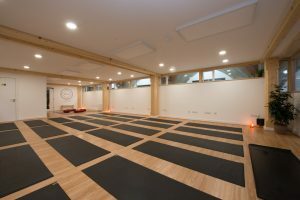 Set in immaculate surroundings, and perfectly located on the edge of Brighton city centre next to Preston Park, we have gathered the finest teachers and are building a joyful community of yogis. In the warm, contemporary and serene atmosphere of a state-of-the-art space, and with a wide variety of yoga styles to choose from, we have created what we feel is the perfect yoga studio! As a pair of compassionate and professional instructors, everything we do at SPACE centres around your enjoyment, wellbeing and the journey to self-knowledge and awareness. We believe yoga is your enabler to feeling better. So, come into SPACE and find yourself on the mat.